Forget the Like button: Facebook wants you to hit the Buy button instead. Buzzfeed reports that Zuckerberg & C0. is testing new, miniature e-commerce sites that are embedded within the Facebook pages of retailers. 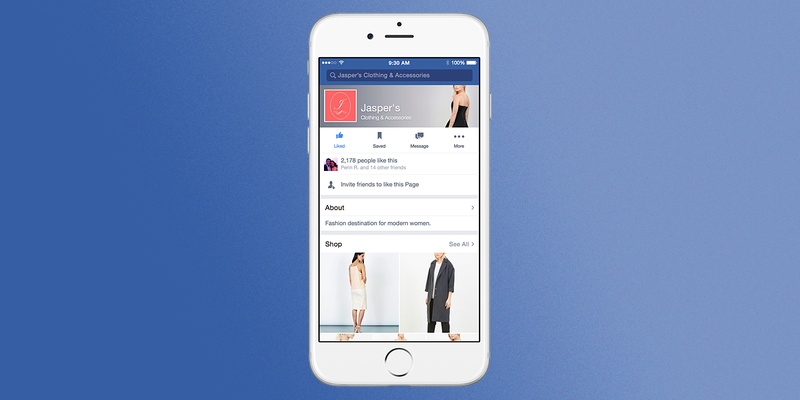 While they’re currently in the testing phase, the idea is to conduct the entire shopping experience within Facebook. There, “buy” buttons allow consumers to spot an item they like and see the transaction all the way through to completion at checkout. It’s not clear what format the shopping experience takes, but a mock-up supplied by Facebook at the top of the page suggests it might looks a bit like browsing a gallery of photographs. Buzzfeed reports that Facebook is working with a number of retailers—somewhere “in the double digits,” whatever that may mean—to test the stores. Currently Facebook isn’t planning to skim off a cut of the proceeds for itself. But, as Buzzeed notes, “the company’s history does contain instances where it’s rolled out products with favorable terms for businesses only to roll back those terms when it decides it needs to make more money.” Retailers will hopefully enter into the scheme with their eyes open, knowing Facebook may change its terms in the future. In some ways, the new initiative is to retail as Instant Articles is to news: take the functionality from other sectors and host it all on Facebook. An exciting prospect for Zuckerebrg, for sure, but it’s less clear right now how good such land grabs are for us, the humble end-users. Facebook’s already gone to the trouble of making cash flow through its Messenger app, and a solid shopping experience is the natural extension. It’s not Facebook’s first foray into consumerism within the social network, obviously—but surely it can only be more successful than the ill-fated Gifts?